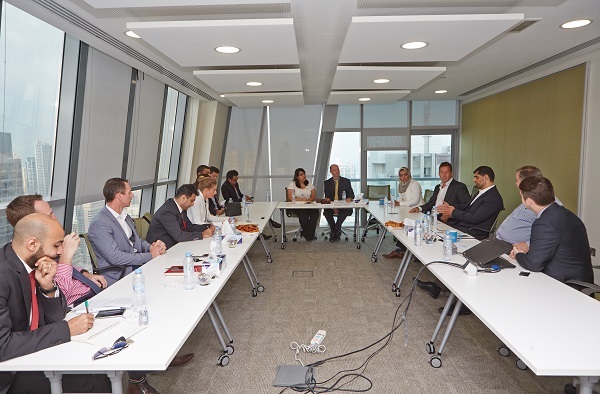 Providing the right acoustics in a school can go a long way towards improving a child’s education and allowing them to reach their full potential in the classroom was the major conclusion drawn during a roundtable meeting hosted by Middle East Architect. 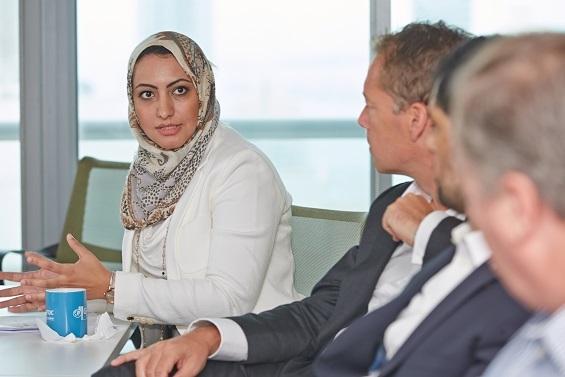 Held in the Dubai office of Saint Gobain Gyproc the discussion group, which featured architects, engineers, school operators, teachers and experts in materials, looked at ways a good quality of sound in a room can enhance the entire experience of learning. And it also examined how poor acoustics can inhibit the ability of a pupil to grasp subject matter – and significantly pose a health risk to teachers in the form of rising levels of stress. Gyproc is manufacturer of modern lightweight, high performance dry-lining and ceiling systems that provide solutions in the areas of acoustics, fire and indoor air quality. 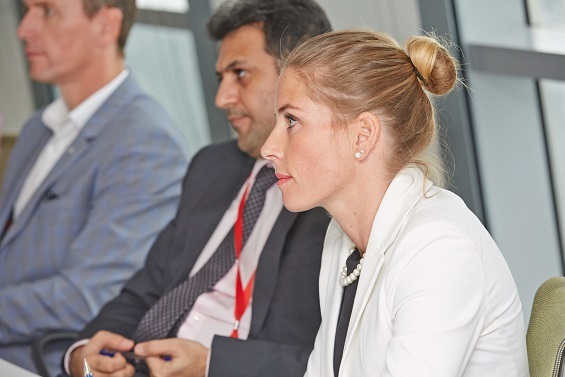 The panel included the company’s senior technical development manager Jason Hird and sector manager Marloes Meer. From the field of education they were joined by Pete Stapley senior client manager and specialist in design and infrastructure for GEMS Education, Kapil Kapoor chief finance officer for school operators Taaleem and Andrew Turner senior project manager from Hepher who has worked closely with the Swiss International Scientific School. Representing the design and build industry were Salim Hussain from architect firm Atkins, who has overseen educational projects across the Middle East and in the UK, Maram Sherif, who has been involved in working on schools in Palestine for Lacasa, along with two other experienced school designers, Jason Burnside of Godwin Austen Johnson and Ahmed Abdul Hameed of National Engineering Bureau. The question “Why do children go to school?” was the first subject to be raised. The panel agreed that, of course, to obtain an education was the major reason but other factors also needed to taken into account. Burnside said: “For me it’s not just about the issue of education – children go to school to socialise and I think this aspect is missing in many cases when it comes to design. It’s not just about sitting in a classroom, kinds want to go and play as well. From the field of education Stapley said the design of a school room can help or hinder the teacher and his or her ability to communicate effectively. He said: “You can teach actually in a barn if you have to. Across the board teachers, operators and design professionals all agreed that clients detailed brief is important for architects and engineers. And all stated that this includes the field of acoustic, from general noise in the classroom and the rest of the school to specialist areas such as music rooms. When it comes to classrooms again the panel agreed that the design needs to be different now to that which was accepted as the norm just a few years ago. Members said this was because of greater flexibility in teaching methods becoming the norm. Stapley said: “It is not about rows of desks in a classroom any more. It is much more about smaller groups and a teacher who can move around the room. “Children are seated in a classroom maybe in groups of four or eight, They might then go to a more formal seated row environment but then they will break out into smaller groups again. “I want my classroom to be put together in such a way that I can have a different learning environment and I want my teacher to be mobile. As well I want to be able to change my learning environment by changing my seating arrangements so I can give my teacher different focus points throughout the room. Stapley replied ”I don’t know whether the attention span has reduced appreciable But we are more cogniscent that attention spans can be shorter so lessons now – even though they might be an hour long – are broken down into manageable bite-sized chunks and activities changed so that you re-awaken wats going on. The panel agreed that, obviously, clients and design professionals have all been to school. But the members pointed out that in many cases their experiences are out of date because it was a long time ago. A study has revealed that 16% of children have some sort of impairment (permanent damage or ear infection) while 33% have problems focusing – such as hyperactivity – or are introverts by nature. And of particular importance in the UAE many children are being taught in English – which is not their first language. The panel also heard of the effect of poor classroom acoustic performance on members of a school’s staff. Teachers need to be heard and speech levels vary in between 40 decibels to 80 So a figure of 65 is considered satisfactory. If this means they are not being heard, a medical study shown in the video revealed health is severely affected with conditions such as stress, high blood pressure, and even heart rates rising possibly leading to a heart attack. Meer pointed out that even if the acoustics in the classroom are fixed there will most likely be noise coming from elsewhere – from outside and from the corridors. So the issue of reverberation through floors and ambient sound in the background also need to addressed. The panel agreed there needs to be a discourse between architects engineers, contractors clients, and education professionals at an early stage to ensure that when a school is being built the right result is obtained. But members accepted they were up against the issue of costs and budgets. All agreed that sharing information was a way forward. Shapley said GEMS has have put together a similar document and it does cover acoustics “but I wouldn’t say it goes into every detail” he added. Value for money is key said panel whose members all agreed that false economies created huge problems in the operation of a project – and more importantly could limit the educational value of a class for children and so inhibit learning. Hird said: “When it comes to the learning environment for children – being able to hear what the teacher is saying is key. “It’s imperative and not withstanding the modern methods of teaching, such as a teacher moving around, that doesn’t solve the problem. It is something which needs to be addressed from as early a stage as possible and having a proper acoustician as part of the design team can be of huge benefit. He emphasised that to remove the acoustics package from a project in order to cut down on expenditure is certainly not value engineering and the panel agreed saying that to go back and tackle the problem later would cause even greater costs to be incurred – disrupt the smooth running of the school and ultimately affect the schooling of pupils. 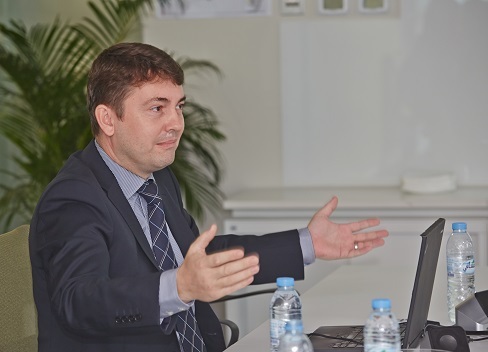 Burnside said: “Dubai range of demographics and everyone needs to have an education. So acoustics is not the highest priority – it’s getting an education or not. Hussain said that it was up to the design and build business to ensure they place as high a priority on design excellence as possible. Turner said: “If it is left to the authorities then they will establish the mimimum standards and settle them but we are trying to hit better than minimum. “So that’s why the operators are key. GEMS for instance, they have people like Peter who sit down and decided what the standards should be and then inform their professional teams this is what we want you to achieve. Without them we would just have investors seeking what the minimum standards are and just reaching that level. The panel debated the issue – do you cut costs to save money but be less effective – do you spend slightly more to get a slightly better result or do you invest by a few more percent and get a result around three times better than the minumu standard originally set. Hird said: “You can add value is so many ways and it’s not just all about cost sometimes people will go for slightly cheaper products but they are not fit for purpose. So in the end it is the project – and ultimately the staff and pupils – who will suffer. The panel agreed that children now at school will take on jobs which have not yet been invented – such is the rapid growth of technology .Members used the Ipad as an example of a device which had not even been envisaged at the beginning of the current century yet is now in common usageme. So members said classroom design will need to reflect that fact that teaching methods – and the subjects being studied – will be an area of rapid expansion and change. Hameed said that design solutions and material forms an important part of this issue. The panel agreed that in school auditoriums this is a vital need, as one day there might be a basketball match being played while the following day there may be a concert staged and then the room might be used for an exam. So flexibility in design must be able to accommodate all these factors and more the panel agreed. Finally members agreed there needs to be a discourse between architects engineers contractors clients and education professionals at an early stage to ensure when a school is being built the right result is obtained. “Everyone wants the best for the children – that is what schools are about,” said Hussain, “As professionals that is what we need to ensure. “Remember the kids. They spend hours of their lives in these places and saving a few hundred dirhams here or there is not important. It’s about educating future generations, future leaders of the UAE and wherever else. This should be the main consideration, not anything about commercial concerns.